Summer came to a crashing end here for us three weeks ago. This is the year I decided to let my little guy leave the nest and join other toddlers that are on the road to Harvard and start Pre-K. He now is in school every day, all day. And I am alone. The silence at first was eerie. I could hear the crickets chirping outside (do crickets chirp during the day? Well, they do here in West Palm Beach). I could hear my neighbors car doors closing when they were leaving to go to work. I could hear a pin drop. People I know were starting to panic. They would look at me in desperation and ask, “What are you going to do all day now that you are all alone??!?”. I didn’t think about it until they posed the question. I had no plan. People, listen to me: I HAVE NO PLAN!! Is that OK to not have a plan? I think so. I could sit at home and watch the paint peel from my walls for 6 hours a day. What I did know I was going to do was some more baking. I was going to organize my recipes. Finish school. Get in better cardio shape. Take care of my family. Pull weeds *(kidding!). Volunteer at my kids’ schools. Wash my chihuahuas. I have some pressing things to take care of. Here is what I did do today. It was a lazy morning. I enjoyed the crickets chirping. I read the whole paper from front to back. Today I could care less about my cardio fitness. I sat outside and sweat and shooed away the mosquitoes. I drank a really good cappuccino. I ate a second slice of my Lemon Rosemary Olive Oil Cake. I felt no guilt. This Catholic guilt thing is hard to shake. I wrote on my blog. 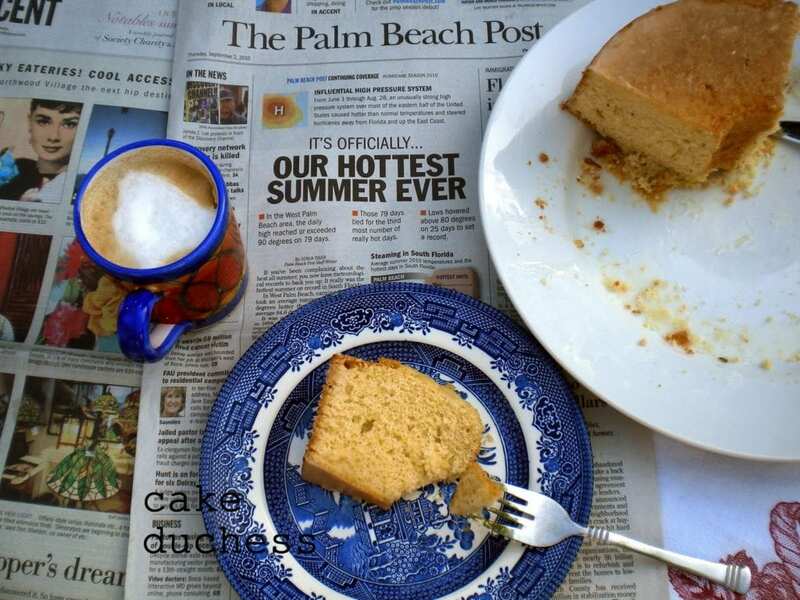 I shared my Lemon Rosemary Olive Oil Cake with you, my dear readers. So there you have it! Get over it! I want to shout it from a mountain top: I did not much of any thing! And I feel good. 2. Coat a 10-inch tube pan with cooking spray; dust with 2 tablespoons of flour. Combine flour, and next 4 ingredients (through the salt)in a large bowl. 3. Place granulated sugar and next 7 ingredients (through eggs) in a medium bowl; beat with a mixer at low speed until smooth (about 2 minutes). Add to flour mixture; beat until blended. 4. Pour batter into prepared pan. Bake at 350F for 45 minutes or until a toothpick inserted in center comes out clean. Cool in pan for 15 minutes on a wire rack, and remove from pan. Cool completely on wire rack. Combine powdered sugar and lemon juice. Drizzle sugar mixture over cake. ENJOY! Story behind this recipe: Last night the kids were going through “no homemade cake withdrawal”. I have been eyeing this recipe for a year and decided to give it a go. Two ingredients were stopping me: olive oil and rosemary. I chopped the rosemary so fine that my daughter didn’t know it was in there. I could tell. It was subtle and delicious. 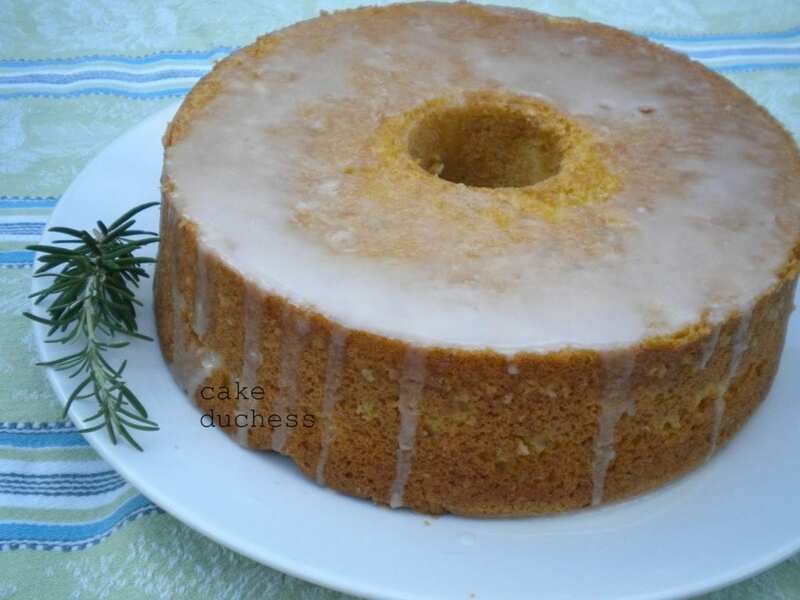 The lemon glaze added just the right amount of sweetness. The cake practically disappeared within the first hour it was baked. Chef came home from work and had a piece and really liked it. I also shared a chunk with my neighbors. They deserved it. 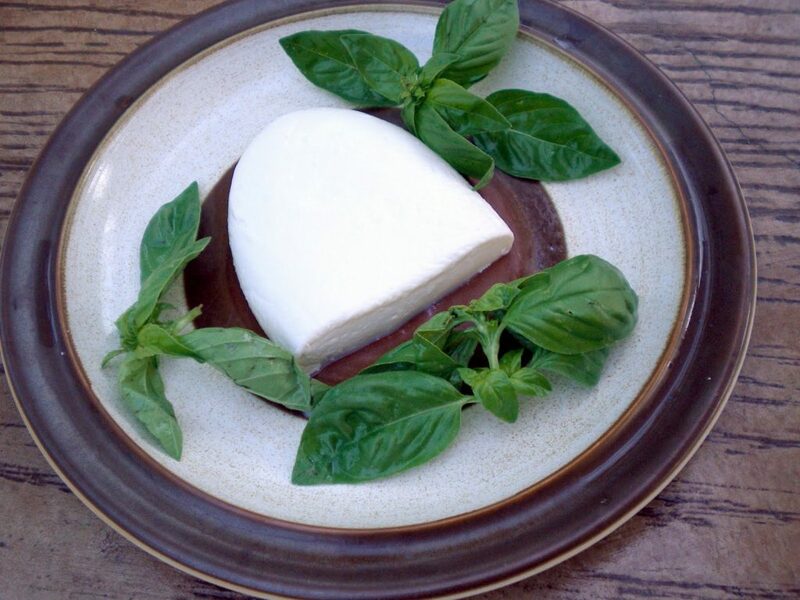 They came over with a chunk of homemade mozzarella two nights ago. Isn’t it fabulous!? Love the cake! Gotta try this one! I'll take a piece of this right now! Looks fantastic! And I'm so glad that you feel no guilt. Hedonism is what it's all about! So glad I'm not the only one with "the guilt"! It's hard to let go of your babies, it will get easier. That cake looks divine, on my list to make! Thanks for sharing. This sounds like a yum combination! The cake, and the mozzarella look wonderful.